Victories at the Capitol for Fighting Hunger in our State! Home » Uncategorized » Victories at the Capitol for Fighting Hunger in our State! With help from supporters emailing and calling lawmakers, funding for Market Bucks was restored. Market Bucks are money that is matched with money on a EBT card, and can be used at farmers markets all over Minnesota. If you would like to learn more about Market Bucks and how they work, you can check out a previous Minnesota Hunger Initiative post that will give you more details about Market Bucks and SNAP/EBT cards in Minnesota. An increase in funding for food shelves in Minnesota has passed! This money will go toward buying more proteins, fruits, vegetables and diapers. From 2011-2015 food shelf visits have increased by almost 6 percent for every age group, so now is the perfect time to be taking action on food insecurity in Minnesota. It is estimated that 235,000 Minnesota live more than 10 miles away from a grocery store, supermarket, or supercenter. In order to keep access to healthy food in all areas of Minnesota, The Good Food Access Fund asked for an increase in funding so that they can continue their work. The Good Food Access fund was included in the Agriculture Budget, although it is unclear at this time what exactly this will mean. The Commission of Agriculture can appropriate up to $250,000 to the program per year. The ask for renewed funding for Mobile Food Shelves was not accomplished, but that doesn’t mean that the advocacy for Mobile Food Shelves will stop. The efforts to request funding for this program will continue in years to come. 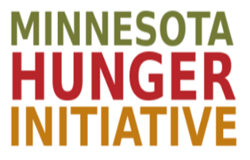 If you are interested in learning more about Hunger Solutions and the work they are doing, check out their website! Walk to End Hunger 2018 Recap!